A malocclusion occurs when the upper and lower teeth are misaligned, often because the teeth are crowded or crooked, the upper or lower teeth are protruding or the jaw joint is out of place. When teeth fit together correctly, the upper teeth are slightly ahead of the lower teeth. Orthodontic treatment can bring your teeth back into correct alignment to improve your oral health and the cosmetic appearance of your smile. Our Invisalign dentist in West Hollywood can provide you with a range of options that may include clear plastic aligners or traditional braces. Our West Hollywood Invisalign dentist can help you determine whether you are a candidate for Invisalign aligners. At your consultation, you will have the opportunity to ask questions and learn more about the procedure. Dr. Ghasri may take X-rays and impressions of your teeth in order to create an accurate 3-D representation of your mouth. This image will be the foundation of the treatment plan that will be used throughout the remainder of your experience with Invisalign. Once your set of custom-made, clear, BPA-free plastic aligners are made, you will be able to wear them for about two weeks at a time as they gradually and gently move your teeth into alignment. Invisalign aligners are comfortable and discreet, and they can easily be removed for eating, brushing or flossing. 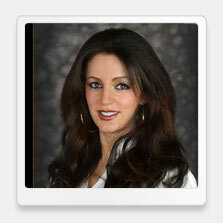 Our Invisalign dentist in West Hollywood is an Invisalign Preferred Providers due to her extensive experience. She has concluded many cases successfully, and she can help you, too. Invisalign aligners are an extremely effective alternative to traditional metal braces, but they may not be appropriate for all patients or all types of malocclusions. Dr. Ghasri can help you learn more so that you can make an informed decision for your oral health. If you are seeking a straighter, healthier smile, our West Hollywood Invisalign dentist can help you discover your options. Orthodontics may be just one of many dental procedures that can help you achieve good oral health and an improved smile. 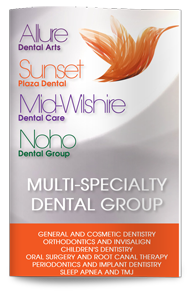 Contact our West Hollywood cosmetic dentist today to schedule your appointment or to learn more.